Durban, South Africa -- Businesses all over the world utilize cargo airlines to ship their products out to customers. However, the costs of that transport can add up significantly over time. Black-owned BBZR Cargo aims to change that with a new, affordable cargo airline that still provides all of the same services as the big names, just at a lower price point. The airline is based out of South Africa and hopes to shift the tide away from foreign airlines, many of whom come from countries that formerly colonized the African region. This initiative will bring some of the power back to the local people in an effort to fight off outside influences and help South Africa stand on its own as a world power. The BBZR Cargo team offers a combined 45 years of experience in the aviation industry, and most of the team members are African citizens. The airline will utilize B-767 and B-777 planes, which are among the best available in the aviation cargo industry. Each aircraft will fly up to 14 hours each day, up to a total of 200 hours each month. The target turnaround time at each airport is approximately 3 hours. From the time of launch, the service will send out each aircraft two to three times per week, depending on service volume. It is expected that this frequency will increase as the airline brings on more new clients. Because the cargo airline will operate on a 24-hour basis, it won't have to deal with traffic at the airport when commercial flights are landing and taking off. Many cargo flights can depart in the middle of the night, minimizing delays. To help get the airline off the ground, so to speak, its creators have launched a crowdfunding campaign on Produzioni dal Basso. The campaign has a funding goal of $285,287 USD and will keep all of the funds raised, even if the campaign doesn't reach its target. Investors can get a series of rewards for their contributions, including a variety of books from South African authors such as Trevor Noah's Born a Crime. Investors who contribute $28,524 USD or more can claim a selection of four delicious South African wines. 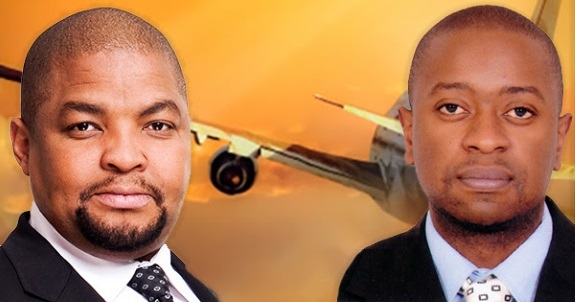 Labels: First Black-Owned Cargo Airline to Launch.